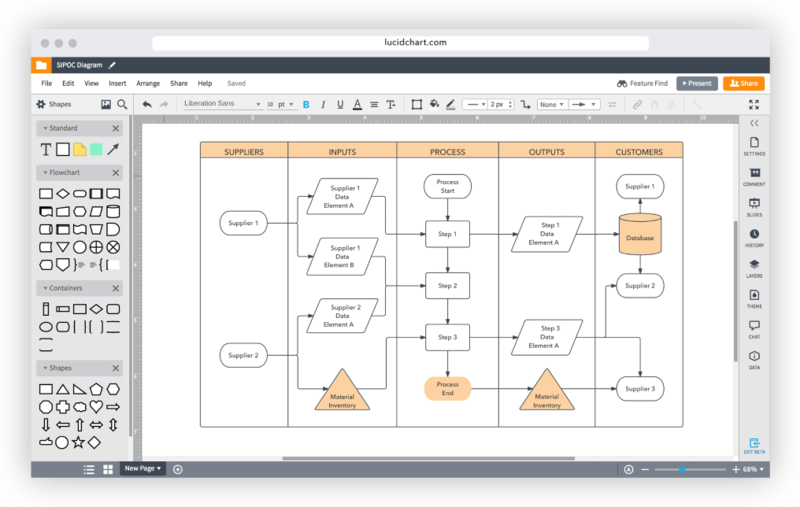 Lucid Software’s latest effort to make our product the most powerful and intuitive diagramming tool means very big news for Lucidchart users around the world. The team has been hard at work giving the Lucidchart editor an exciting makeover, and it’s finally time for the big reveal. 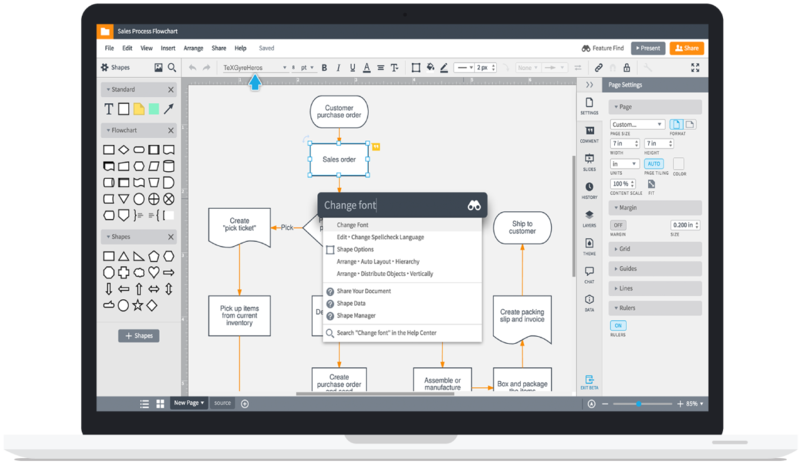 Millions rely on Lucidchart every day to think, create, and communicate visually, and this new editor provides a customer experience that allows users to think and innovate faster than ever before. We are making you more efficient by making our editor even easier to use. Here’s a look at what you can expect with the new Lucidchart. You asked, we listened. Build dynamic diagrams by linking Lucidchart shapes to live data in Google Sheets. In other words, wave goodbye to tedious and time-consuming manual data entry and the frustrating human error that comes with it. Instead, let Lucidchart do the work for you. And it gets better—whenever you make changes to the data in Google Sheets, your Lucidchart diagram automatically updates. Spend more time understanding and sharing your data and less time manipulating it. Perhaps you manage a physical network and keep a spreadsheet of all your inventory. Ditch the rows and columns, and opt for a visual. Connect your Lucidchart document to the Google Sheet, and each component of your network diagram will display its product version, Mac address, serial number, IP address, and any other necessary details. 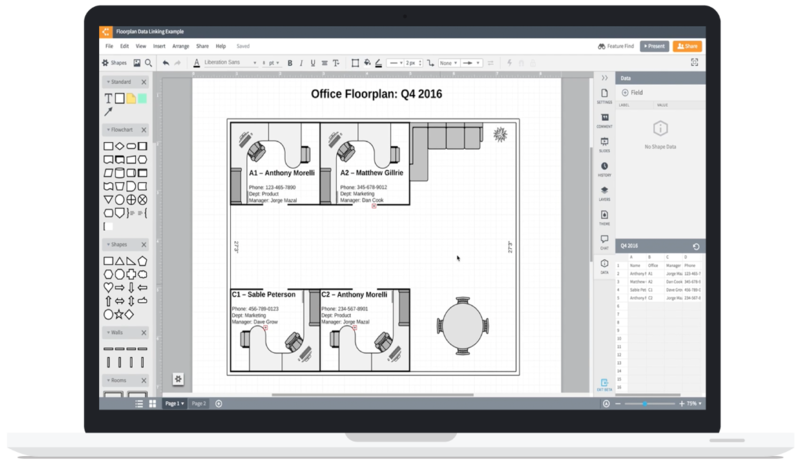 Or say you’re creating an office floor plan in Lucidchart—attach a spreadsheet with all employee information so you can include details such as job title and department. Data linking updates your floor plan when you move employees around or when someone leaves. The result is a useful, easily created, and always current visual that all employees can reference, especially during the onboarding process. And the best part? Now that you can take data linking to the cloud with Lucidchart, you can ditch Microsoft Visio for good. With every step we take forward, Visio is always one step back. Nothing is worse than knowing exactly what you want to do and not finding the feature you need to do it. Our new editor is the debut of Feature Find, a tool to make sure you spend more time creating and less time trying to figure out how to create. Use Feature Find to rapidly track down any feature, setting, or shape you’re looking for with a single search—it’s all about getting to your favorite features faster. Play around with it—you might find new tools and functionality you didn’t even know existed in Lucidchart. After extensive user testing (we’re talking thousands of users here), we’re releasing an optimized and personalized layout. Call us biased, but this new interface is something to behold. Take it from Lucidchart user Bryan B.: “I love this new interface! It looks modern and feels modern.” And it makes creating, collaborating on, and sharing your diagrams simpler than ever before. Enjoy more intuitive controls for comments, presentation mode, revision history, chat, and page settings. Spice up your diagrams with our updated themes. Take advantage of full-screen mode for additional working space. Try out the more intuitive share dialog for faster collaboration. Manage complex shapes with advanced editing options. Easily utilize your favorite shapes by dragging and dropping them to your “Saved Shapes” library. Everything you need for more efficient diagramming is right at your fingertips. 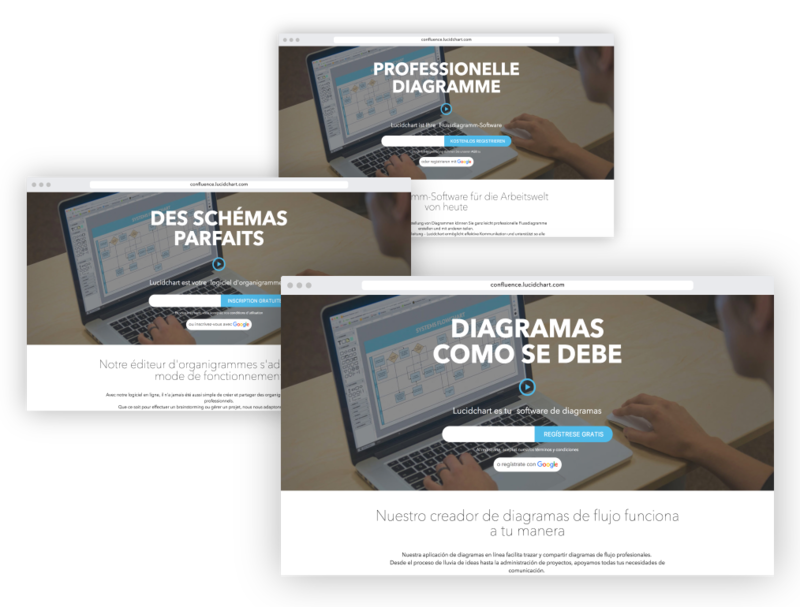 Look forward to a completely personalized diagramming experience as you choose between diagrams, diagramas, diagramme, and des schemas. What are you waiting for? Give the new Lucidchart editor a try today and enjoy a more intuitive, powerful, and customized diagramming experience. Let us know what you think! Lauren McNeely is a graduate of Brigham Young University, where she majored in Business Management with an emphasis in marketing. 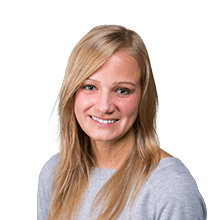 Lauren works as a content marketing specialist on the Lucidchart marketing team. When she’s not writing, you’ll find her traveling any chance she gets, boating at Lake Tahoe, or reading on the beach.